There are many games that you can play on and off the internet that are both educational and fun. The focus of such games can be varied and include racing games, sports based games, games that require death and destruction to score points and of course, educational games for both children and adults. As a consequence of the responses to these games, the gaming industry has taken off by storm with games available for play on the internet, on table gadgets as well as on mobile phones. This game is regarded as a type of IQ test and can be played by children and adults. The basic structure of the game is the presentation of a board with a triangle of pegs and the idea is to fill the pegs into the holes but this is not as simple as it sounds, and requires an understanding of spatial dimensions as well as strategy. 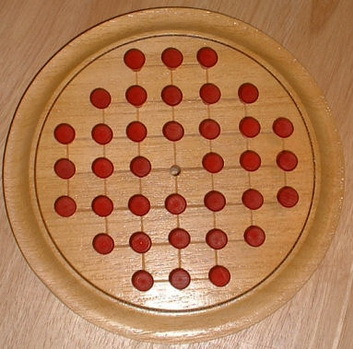 This game is similar to a game of checkers in some regard and the objective is to end up with the least number of pegs possible, however the nature of this game makes it possible to come up with many permutations that will allow you to win. However, just winning may not be sufficient and your aim will be to achieve the highest possible score. An increase in cognitive health as these games requires players to think tactically and make decisions quickly. Such games also tend to increase short-term memory and problem solving skills. Unlike television which is passive, playing games on the internet or other platforms require active participation rather than just being a spectator. Games are a great form of stress relief and because of this, can improve players’ moods. There is also a strong possibility that the games played will increase and improve hand-eye coordination which usually means an improvement in terms of hand and finger dexterity. Games can also be used as a means to teach specific skills or to present specific knowledge in an interesting and impactful way. There are of course many more reasons why playing games, including peg games can impact on mental and physiological development. However, the issue is what games are played in order to determine that there are clear benefits that can be derived. Unlike other games that may require violent responses such as shoot-and-kill or destroy modes which psychologists suggest may have negative implications on players, causing them to be more attuned to violence and violent behavior after extended play, the pegs game focuses on strategy and strategy development. Almost like playing chess, the mental focuses of the game are not speed or dexterity in hand and eye coordination, but instead of mental dexterity. Therefore if you would like to be challenged based on your mental faculties, the pegs game is likely to bring you hours of enjoyment.